‘Halo Car’ is a bit of a controversial term in the automotive world. The theory behind the concept is simple: an unattainably expensive, incredibly well-engineered supercar whose design and technology lifts an entire product line up over time. Many companies try it, but very few manage to pull it off. Well, you can officially add Acura to the short list of companies that have executed the Halo Car correctly, and they managed to do it just months after the release of the supercar in question. The 2017 Acura NSX set the car world ablaze when it was released last fall; utilizing a hybrid powertrain that marries 3 electric motors to a conventional gasoline engine, the NSX achieves supercar performance while still getting SUV-like fuel economy. So what kind of performance and fuel efficiency would an SUV built to the NSX blueprint get? Enter the 2017 MDX Sport Hybrid, a hybrid version of the MDX that features 3 electric motors in addition to a conventional gasoline engine. 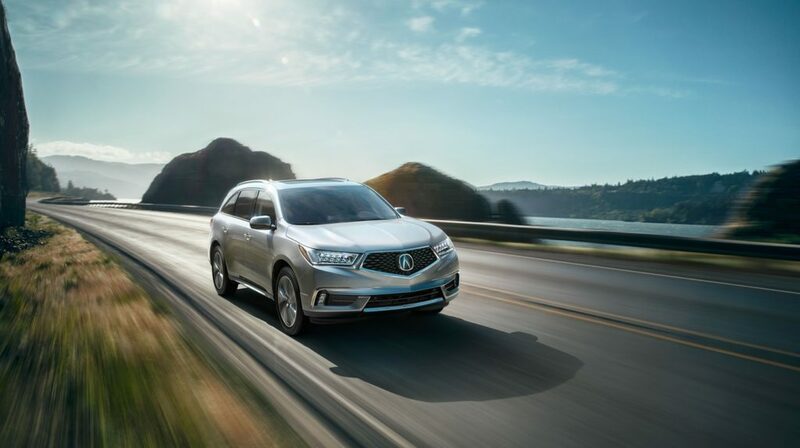 The MDX Sport Hybrid packs 257 horsepower, 31 more than its non-electrified counterpart, and gets an EPA-estimated 26 mpg city, 27 highway, 27 combined, a massive improvement over the 18 mpg city, 26 highway, 21 combined of the normal MDX. Better still, the Sport Hybrid costs just $1,500 more than a conventional MDX. Justin Wilder, one of Butler Acura’s product specialists, thinks that number could be as important to the MDX Sport Hybrid’s success as anything else. We’re expecting to see our first MDX Sport Hybrid soon, and we’ll be sure to keep you up to date on the newest member of Acura’s lineup!